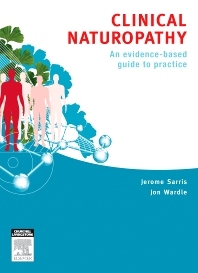 Clinical Naturopathy: An evidence-based guide to practice details key treatment protocols and evidence-based complementary medicine interventions for use in naturopathic practice. This valuable naturopathy resource is authored by leading practitioners in the field. Its unique perspective combines clinical experience with evidence-based substantiation from rigorous medical research. Clinical Naturopathy explores key naturopathic treatments – including herbal treatments, nutritional and dietary treatments and lifestyle treatments – for common medical symptoms and conditions encountered in modern practice. Clinical Naturopathy: An evidence-based guide to practice outlines an introduction to case-taking methodology and naturopathic diagnostic techniques. It then details treatment protocols and naturopathic prescriptions to treat major health conditions within individual body systems. The textbook also offers special sections on naturopathic treatment throughout the life cycle, including paediatrics, pregnancy and aging, as well as complex health conditions like HIV, cancer and pain management. Comprehensive appendices provide additional clinically important material, such as reference levels for laboratory medical tests, nutrient food values and traditional Chinese medical diagnosis. This one-of-a-kind naturopathic reference makes essential reading for practitioners wishing to enhance practical application of their skills in a clinical setting, and advance their knowledge of evidence-based complementary medicine interventions.